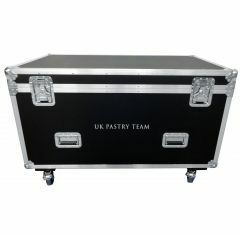 Flight cases which have been designed to carry and transport your equipment come in a variety of shapes and sizes. 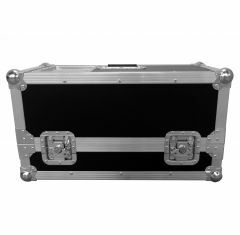 At Absolute Casing we offer several styles and designs of equipment hard cases, part of our bespoke cases range, which protect your items during their transportation or shipping. 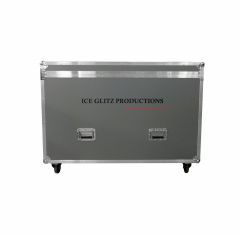 The cases in the collection can be used to house an assortment of equipment so whatever it is you need to move from one place to another you can rest safe in the knowledge that your items will arrive in one piece. Whatever equipment you need protecting, we are able to produce the ideal bespoke equipment flight case to meet your requirements. To ensure your purchase is a truly bespoke case, we have several personalisation options available. They include coloured materials, total vinyl wrapping and the facility to screen-print your organisation or business’ logo onto the case. Each option is available upon request. Custom foam fittings can also be added to your order. They provide additional protection within the case and make it easier for you to arrange and organise the equipment inside. If you would like to learn more about bespoke equipment flight cases you can get in touch with us by calling us on 01635 579 518. You can also contact us via email at sales@absolutecasing.co.uk. Our helpful team will be to able answer any of your queries and will also be able to talk you through our full selection of products.